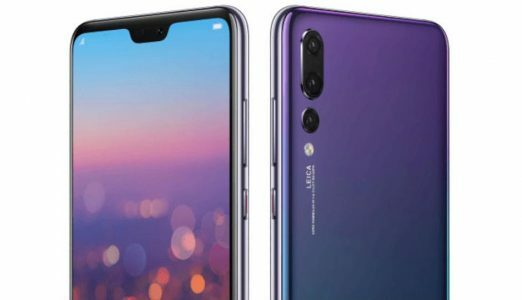 Recently, HUAWEI P20 Pro attracts the world’s attention with its the Leica triple camera and unique eye-catching design. It ticks all the right boxes and can be said to be one of the best phones of 2018. As we can say, the eye-catching color is the first step to bring you to HUAWEI P20 Pro. The way the blue blending into the pink sets HUAWEI P20 Pro apart from most phones which look monotonous and serious and brings a great visual enjoyment to catch one’s eyes immediately. It makes it unavoidable to fall in love with this phone as soon as you see it. Of course, the eye-catching color is only one of the reasons that bring the success of HUAWEI P20 Pro. The three cameras on the back of the phone, which make those who enjoy taking photos have no resistance to it, is also an outstanding feature of it. Although HUAWEI is banned by the united states for the fear of espionage, it still sells greatly in the world and wins a great reputation. Maybe you have one HUAWEI P20 Pro in your hands now. Then, with such a high-quality display mobile phone, how can it not be used to watch videos? Watching videos is one of the most important functions of phones. As to a flagship phone like HUAWEI P20 Pro, which has a large number fans, it is quite interesting and meaningful to have a discussion of how to download free videos with this phone, especially YouTube videos. Considering the copyright issues, most of the videos on websites like YouTube, Facebook, Instagram only support online viewing but not downloading. In addition, out of the same reason, videos downloaders aren’t in Google Play either. However, that doesn’t mean video downloaders are not safe. 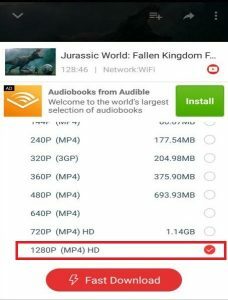 Here, we’ll take InsTube, a 4K HD video downloader, as an example. If you want to check the safety of an APK, an important way is to see whether it is verified by other authoritative sites. InsTube is virus and malware free and has been verified by McAfee, Lockout and CM Security. It aims at providing convenience and protecting the interests of the users. Now, let’s have a look of how to download free YouTube videos to HUAWEI P20 Pro. you can Search InsTube in your HUAWEI P20 Pro and download it, or you can download it from InsTube official website. Open InsTube and then back to YouTube, searching for the video you want to download and tap on it. 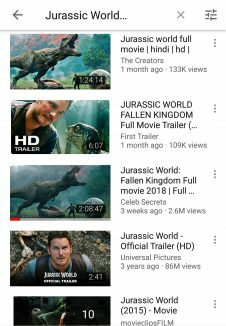 For example, searching “Jurassic World” in the search box. After that, a red button will appear. Tap on that button. Choose the format you like in the page appears. Now, the download is finished. 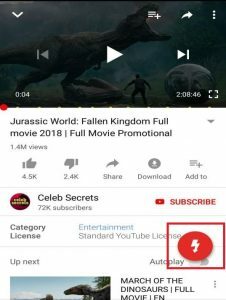 you can back to InsTube to check the downloading process by tapping on the download icon on the upper right of your HUAWEI P20 Pro. You can also download the videos you like from YouTube directly. 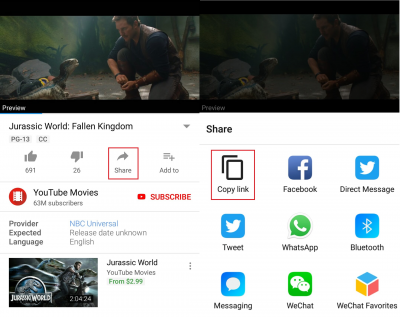 See also: Download YouTube videos directly from YouTube app. Although the article is about YouTube videos download, InsTube is not only available to that. You can download videos from over 40 sites, like Dailymotion, Facebook, Vevo, etc. See also: How to Download DailyMotion Videos Using InsTube. If you want to know more, welcome to go to InsTube official website.